After seeing two all-time great players, in Ken Griffey Jr. and Mike Piazza, obtain the necessary 75 percent of the vote to receive enshrinement into the Hall of Fame last January, the baseball world has been abuzz for the past year as to who would be elected in 2017. With a ballot loaded with several great returning players as well as numerous first time players, everyone around the baseball world had their own strong opinion as to who they felt should be in. But the waiting and speculation finally came to an end on Wednesday evening, when it was announced that Jeff Bagwell, Tim Raines and Ivan Rodriguez had received more than enough votes to join Bud Selig and John Schuerholz (both elected in December) as part of the 2017 Baseball Hall of Fame class set to be inducted in July. Jeff Bagwell received 381 of the 442 votes cast, giving him 86.2 percent of the vote and earning him induction into the Hall. With 449 career home runs and 2,314 hits, Bagwell doesn’t jump off the page in quite the manner that a lot of other players do, but he is still very deserving. It took him longer than many thought it would to get into the Hall, but I’m sure he would be the first to tell you that getting in is all that counts in the end. Joining Bagwell was Tim Raines, who placed second in voting with 86 percent of the vote. Despite not having a lot to show for his career in the power category, Raines was exceptional over his 23 years in a number of other categories. Sitting fifth all-time in stolen bases with 808 to go along with 2,605 hits and a .294 lifetime average, Raines was more than worthy of being elected in his final year of eligibility on the ballot. On the flip side, Ivan Rodriguez was awarded induction in his first time on the ballot, becoming just the second catcher ever (Johnny Bench was the first) to be elected their first year. 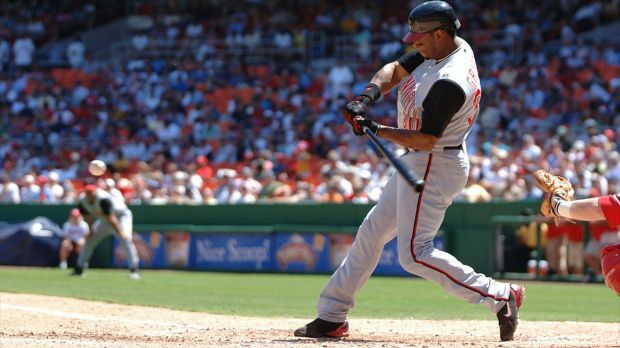 Rodriguez set numerous catching records over his career, and was a solid hitter as well, taking part in fourteen total All-Star games. Despite being clouded by the suspicion of PED’s, Rodriguez finds himself headed to Cooperstown. But while this was the fourth straight year with two or more players being elected to the Hall of Fame, some players fell just short. Trevor Hoffman came one percent shy of the necessary three-quarters of voters’ support needed, with Vladimir Guerrero (who many felt was a first-ballot Hall of Famer) getting 71.7 percent. However, although they didn’t make it this time around, confidence is high for both of them to get in next year. The two most controversial players on the ballot for the last several years, Barry Bonds and Rogers Clemens both fell below the 55 percent mark, failing to get in once again despite having first-ballot Hall of Fame stats aside from their PED use. But while it was once thought that neither would ever get in, they are both making steady progression up the percentage ladder, and very well could slip in before all is said and done. Regardless of if Bonds and Clemens ever get in, sixteen players from this year’s ballot are guaranteed to never get into the Hall. With Lee Smith running out of eligibility years and players such as Jorge Posada and Tim Wakefield not securing the needed five percent to stay on the ballot, those players will forever be known as simply great — but not all-time great — players. The results of the 2017 Hall of Fame election certainly proved that the voting tide is slowly beginning to shift. As more and more players are shoveled into the Hall of Fame at record rates, only time will tell how the next few years will see the Hall of Fame grow. It’ll be interesting to see which players make it into the Hall of Fame in 2018. The first player on my ballot is Mike Piazza. Mike Piazza is facing his fourth time around on the Hall of Fame ballot, but after making the jump up to 69.9 percent of the vote last time around (75 percent is needed for induction), I think Piazza will finally make it in this year. 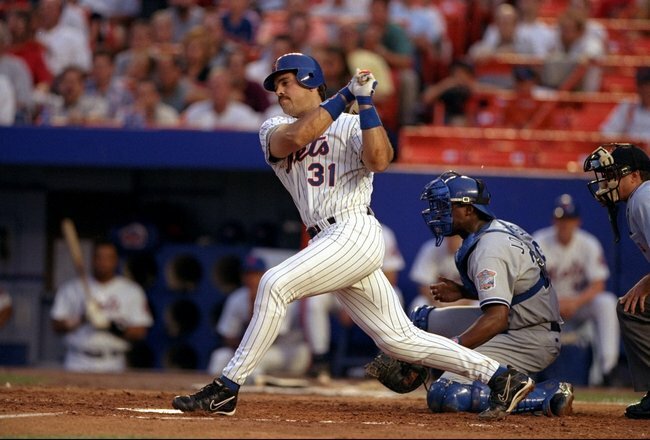 In my mind, Piazza is hands down a Hall of Famer. While he doesn’t have the most impressive statistics (2,127 hits, 1,335 RBI’s and 427 home runs) in baseball history by a long shot, when you compare his numbers against the greatest catchers of all time — many of which are already in Cooperstown — Piazza is right there with the best of them. Next, I have Tim Raines. 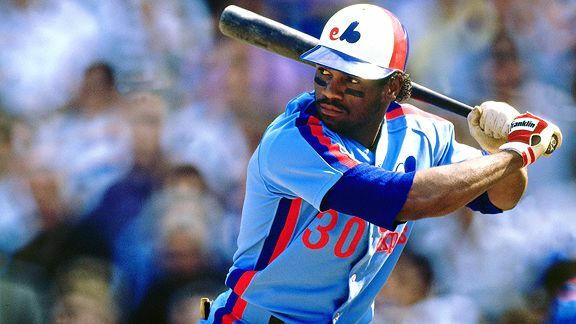 I’m not sure Tim Raines will ever make it into the Hall of Fame, but I have him on my ballot. There are a number of people who understandably don’t see him as worthy, with him only receiving 55 percent of the voters approval last year, but I think he did enough to make it in. Raines sits fifth all-time on the stolen base list, with the four players ahead of him each holding a spot in Cooperstown. Having blasted just 170 home runs in his career, Raines doesn’t jump off the page as a Hall of Famer, but it’s his 808 stolen bases combined with his 2,605 total hits that make him worthy. Of the first time appearance players, the first one on my list is Ken Griffey Jr. This is by far the easiest selection of the entire 2016 Hall of Fame class. There is absolutely no way that Ken Griffey Jr. doesn’t get into the Hall his first go around. Although there are a number of people who are speculating the notion that Griffey Jr. could possibly become the first player to ever received a unanimous election, I don’t see that happening. There are always a few holdouts who refuse to vote for a player their first time on the ballot for a number of crazy reasons. Even so, Griffey’s 630 career home runs, 1,836 RBI’s and 2,781 hits will inevitably see him making an acceptance speech in July. The final player on my ballot is Trevor Hoffman. Picking Trevor Hoffman on my ballot is likely the most controversial pick. In my mind, he is a no doubt Hall of Fame player, but there are a number of people who don’t feel that he is worthy — especially his first time on the ballot. But there is one stat that makes him worth the selection: 601 career saves. Hoffman’s 2.87 ERA doesn’t make him a Hall of Famer, given he was a reliever, and he only struck out 1,133 batters over 1,089.1 career innings. But only Mariano Rivera (another future Hall of Fame closer) has more saves than Hoffman. Trevor Hoffman was simply one of the all time best at what he did, and he deserves enshrinement in the Hall of Fame. Unfortunately, even with all of the great players on the ballot this year, I had to leave off the remaining 28 players, including a large number of the really good players from the ballot, including Jeff Kent, Gary Sheffield, Fred McGriff, Edgar Martinez, Larry Walker, Curt Schilling, Lee Smith and Billy Wagner — all of which have good arguments for induction into the Hall. In addition, I’ve excluded Barry Bonds, Mark McGwire and Rogers Clemens, among others traced to PED’s, not based solely on their PED use, but merely because I don’t feel they should get in this time around. Not yet; maybe not even at all. I haven’t fully decided how I feel. The Hall of Fame is an exclusive club, and I’m not sure I’ll ever feel that PED players are deserving of induction. Though you may disagree with some of the players I feel are Hall of Fame worthy and with some of the players I left off my ballot, it’s just the way I feel. Now, I want to hear from you. Of the players on the 2016 ballot, who do you want to see get inducted in July? Cast your vote below for the number of players from the 2016 ballot that you would vote into the Hall of Fame, and feel free to leave your thoughts below. It’s been sixty years since the Baseball Writers Association of America (BBWAA) last elected four players to the Baseball Hall of Fame in a single year — a class that included Joe DiMaggio as the top vote getter. But on Tuesday it was 1955 all over again, as Randy Johnson, Pedro Martinez, John Smoltz and Craig Biggio all received well over the 75 percent of the vote necessary to gain entry into Cooperstown. Receiving 97.3 percent of the total vote — meaning, 15 out of the 549 voters somehow chose not to vote for him — Randy Johnson didn’t quite beat out Tom Seaver’s all-time Hall of Fame election percentage of 98.84 percent. But regardless, Johnson still finds himself eighth all-time on the percentage list, and becomes the tallest pitcher in MLB history to be elected to the Hall of Fame. 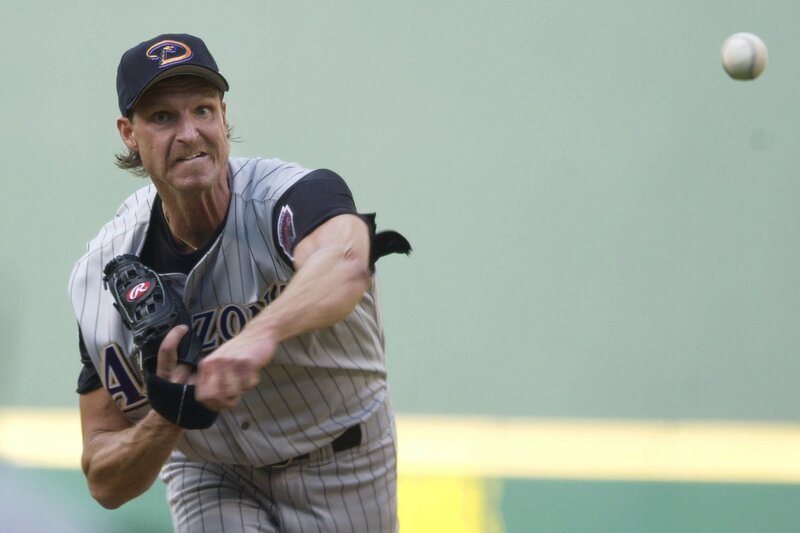 With a perfect game under his belt, along with five career Cy Young awards, not to mention his 300+ career wins and close to 5,000 strikeouts, Randy Johnson more than deserved the honor. The three other players elected on Tuesday were also extremely worthy. 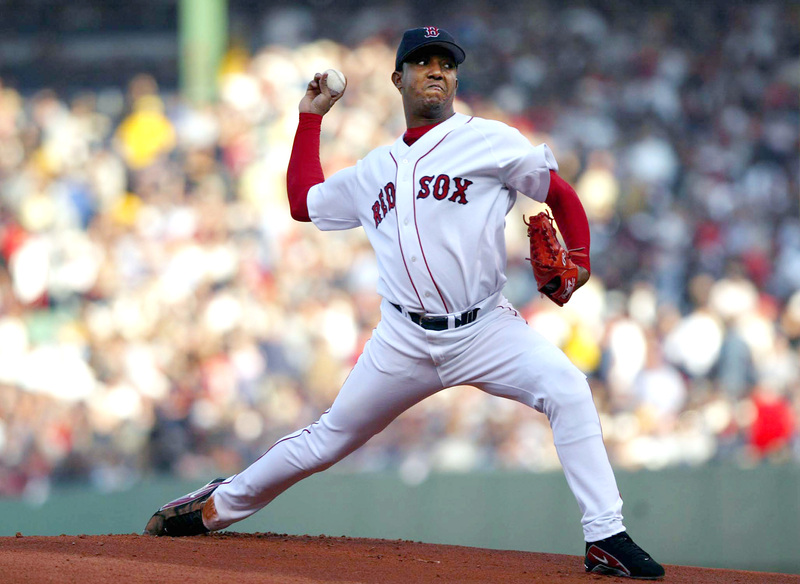 Pedro Martinez’s .687 career winning percentage was good enough to earn him 91.1 percent of the vote; John Smoltz’s combination of career wins, strikeouts and saves earned him a modest 82.9 percent; and Craig Biggio finally received his due after recording over 3,000 hits for his career, finding himself on 82.7 percent of the voters ballots. But not all of the deserving players made it in this time, both in my opinion as well as the opinions of others. More than anyone else, Mike Piazza still not earning a place in Cooperstown is unbelievable. As I’ve stated in the past, Piazza may not be one of the best hitters in history, but he is statistically the best hitting catcher in history. Along with Piazza, Tim Rained not making much ground was also a disappointment to me, sitting twenty percent away from election with just two years of eligibility remaining. 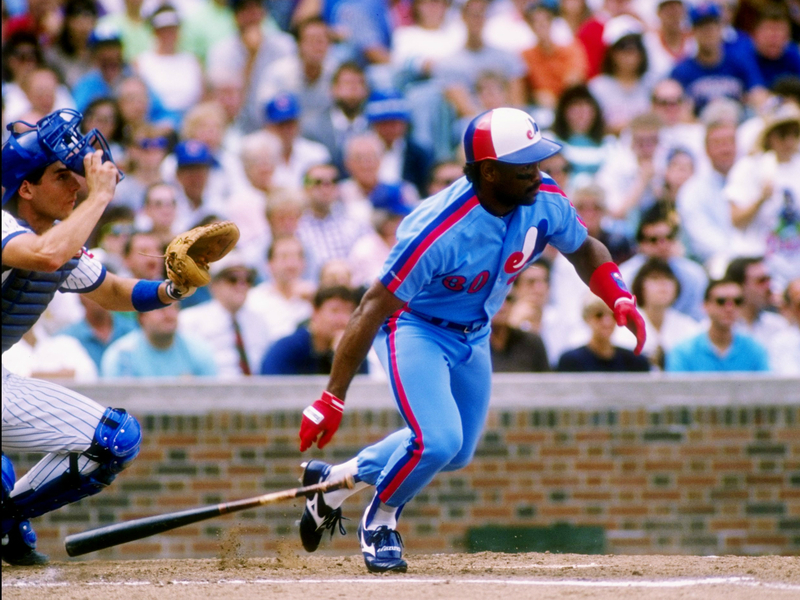 While Mike Piazza will in all likelihood get elected in 2016 (receiving around seventy percent in 2015), the time may never come for Tim Raines. 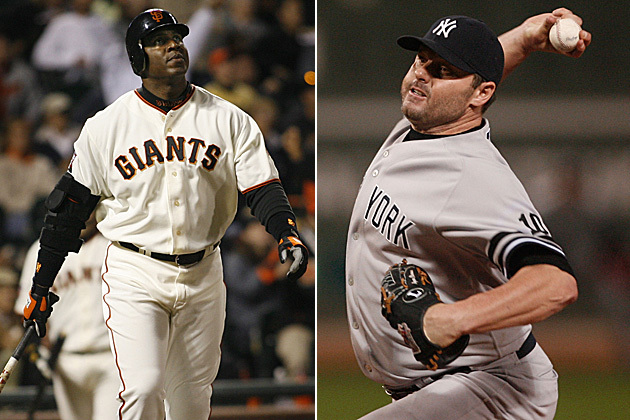 The time for Barry Bonds and Roger Clemens may never arrive either. A true shame, as they are first ballot Hall of Famers without their performance enhancing drug use, neither Bonds or Clemens made much progress in this their third years on the ballot. Bonds gained just 3.1 percent, taking him up to 36.8, with Clemens amassing a few more votes, bringing him up to 37.5 percent. With both just shy of 40 percent away from election, things aren’t looking too bright for them. However, with a few great newcomers set to be added to the ballot in 2016, things are looking bright for a great 2016 Hall of Fame class. Though it assuredly won’t rival this historic class of 2015, Ken Griffey Jr. and Trevor Hoffman — both nearly slam dunks for election — are lining up to be a part of the ballot, joining Mike Piazza, who will hopefully finally see himself getting elected with a somewhat weaker ballot than the incredible one from this year. 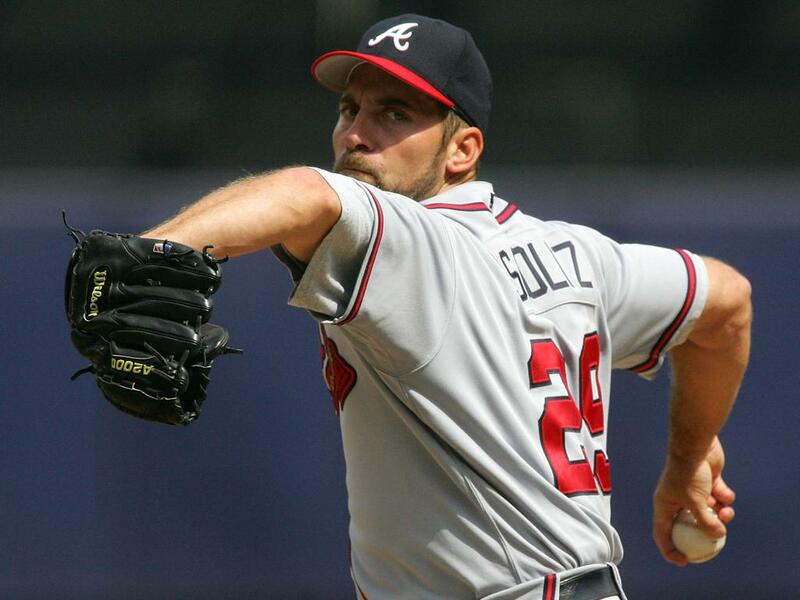 The 2014 Major League Baseball Hall of Fame ballot is loaded with stars. (There are 36 players in all, with 19 of them being first ballot players.) Whether the player has been on the ballot for numerous years or is a newcomer, there are far too many players for me to give my take on them all. Therefore, I’m only going to be discussing the players I’d vote for if I had a vote, and provide my reasoning for each. The first player on my ballot would have to be Greg Maddux. Maddux, who will go down in history as one of the best pitchers the game of baseball has ever seen, racked up a total of 355 wins over the course of his 23-year career. As if that wasn’t enough to make him a first-ballot Hall of Famer, Maddux also put together a stat line of 3,371 strikeouts, to go along with an ERA of 3.16, and 4 straight Cy Young winning seasons. In addition, Maddux holds the record for most Gold Glove awards with 18, and should be one of the highest vote getters in Hall of Fame voting history. The second vote on my ballot goes to Frank Thomas. Thomas put together an incredible career, and would be an automatic pick for the Hall of Fame if it wasn’t for the steroid era in which he played. But despite that, I feel Thomas will get in as a first ballot player, and rightfully so, seeing that he was never directly connected to PED’s. Blasting 521 home runs in his 19-year career, totaling 1,704 RBI’s, “The Big Hurt” has some of the best stats seen on the ballot in years (with the exception of Barry Bonds). 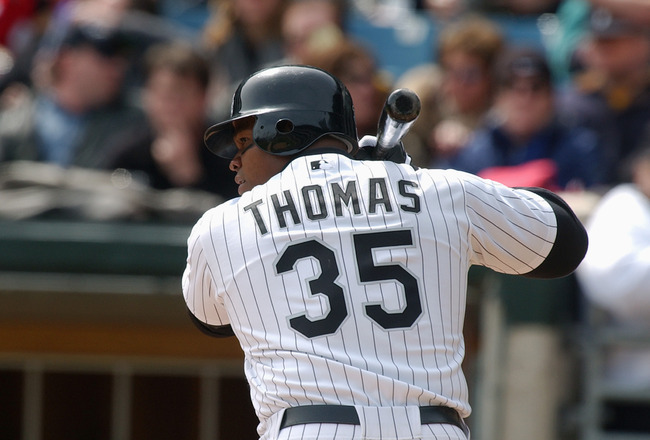 With a .301 batting average to go along with his amazing numbers, and two career MVP’s, Thomas should receive the second most votes from the 2014 ballot, after Greg Maddux. The next player I have is Tom Glavine. 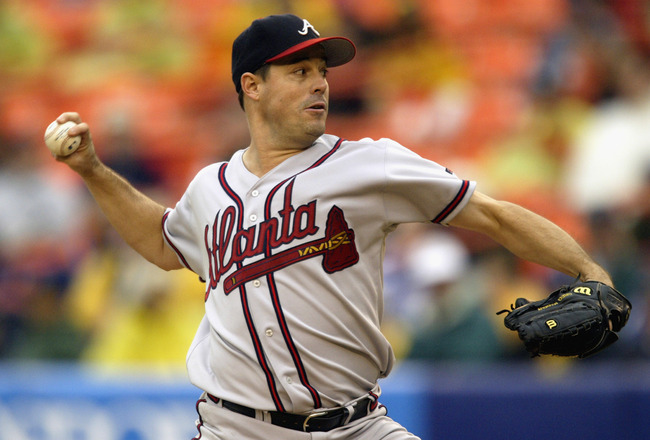 Glavine, as with Greg Maddux, is one of only 24 pitchers to have put together 300 or more career wins (305), done in his 22 seasons in the major leagues. Anytime a pitcher accomplishes this great feat, it’s almost a no brainer that they’re a Hall of Fame player, as a 300 game winner is nearly unheard of nowadays. 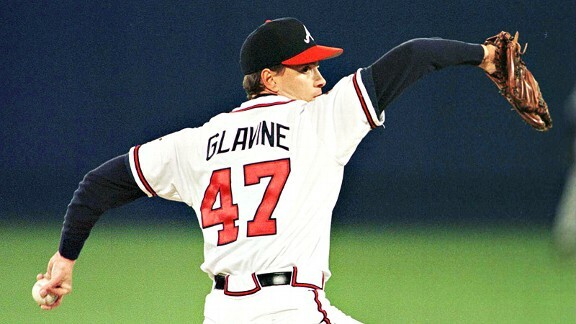 Glavine also has two Cy Young awards and 2,607 strikeouts to go along with his other impressive numbers, and that, in my mind, should earn him a spot in Cooperstown. The fourth player on my ballot is Mike Piazza. Piazza doesn’t have the most impressive numbers of the players on this year’s ballot, however, the stats that he put together over his career, although not good enough for a first ballot vote, are good enough for the Hall of Fame, in this his second year on the ballot. 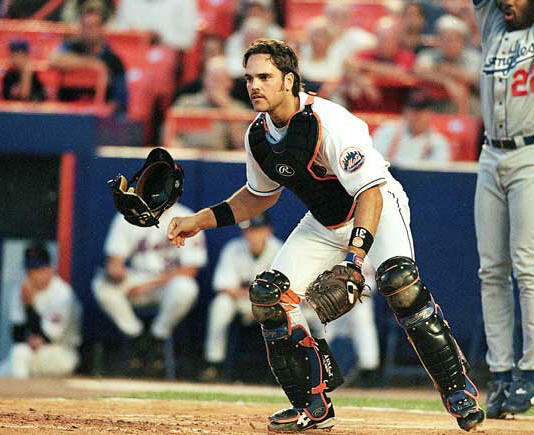 In my mind, despite barely surpassing the 2,000 hit mark and sitting 90th all time in terms of RBI’s, Piazza put together one of the best ever careers for a catcher. He is fourth on the list of catchers in baseball history for most RBI’s and leads all catchers in home runs. 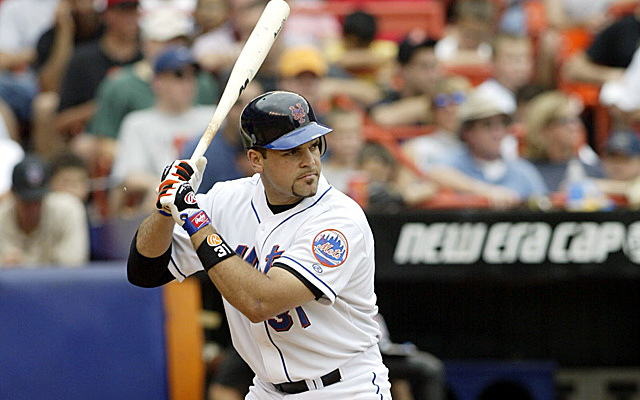 When you combine it all together, it makes Piazza a Hall of Fame player. 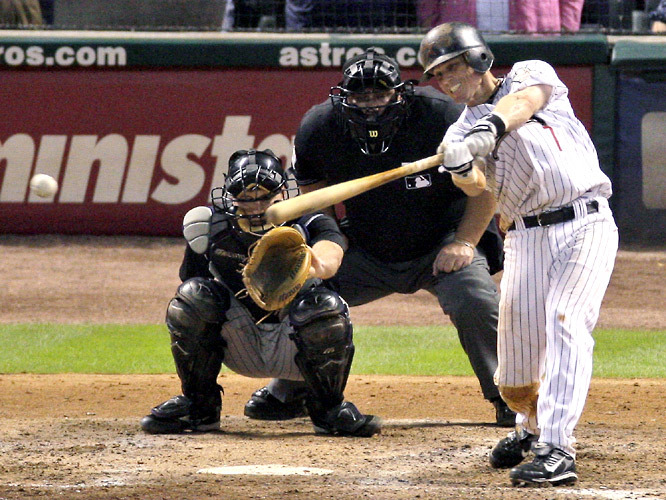 The final player I would vote for from this year’s ballot is Craig Biggio. Biggio was the top vote getter of the players on the 2013 Hall of Fame ballot, receiving 68.2 percent of the vote, which saw no players getting the necessary 75 percent to be elected. Biggio should get in this time around — many believe he should’ve been a first ballot Hall of Famer — as his 3,060 career hits put him on a list with just 27 other players who have compiled 3,000 or more hits. Biggio’s 291 career homers and 1,175 RBI’s are low for a Hall of Fame player, however, there is a very good case for making an exception for Biggio making it into the Hall. Unfortunately, with all of the great players this year, I decided to leave off a few of the really good players from my ballot, including Jack Morris (who is in his last year of eligibility), Tim Raines, Don Mattingly, etc., even though I could’ve easily included them. I just didn’t think they were good enough to make the cut this year. In addition, I’ve excluded Barry Bonds, Mark McGwire and Rogers Clemens, among others traced to PED’s, not based solely on their PED use, but merely because I don’t feel they should get in this time around. Not yet. Maybe not even at all. I haven’t fully decided how I feel. Though you may disagree with some of the players I feel are Hall of Fame worthy and with some of the players I left off my ballot, it’s just the way I feel and how I see things. Now, I want to hear from you. Of the players on the 2014 ballot, who do you want to see get elected along side of Bobby Cox, Joe Torre and Tony LaRussa in July? Cast your vote below for the number of players from the 2014 ballot that you would vote into the Hall of Fame, and feel free to leave your thoughts below. The announcement was made Wednesday afternoon that, for the first time since 1996, the Baseball Writers’ Association of America (BBWAA) failed to elect a single player, from the 2013 ballot, into the Baseball Hall of Fame. This causing a vast amount of controversy among the baseball world, as everyone seems to have a different opinion in regards to the voting results. There are those who are glad that no players got in, there are those who are upset that no players got in, and then there are guys like me, who fall somewhere in between. I’m not all that upset that not a single player received the required 75% of the vote needed to get into the Hall of Fame, but, at the same time, I would’ve liked to have seen at least a couple of guys make it into the HOF, from the 2013 ballot. But it is what it is; there’s always next year. What it comes down to for me is the fact that this didn’t have to happen. Had the ‘Steroid Era’ never of occurred, the likes of Roger Clemens and Barry Bonds would’ve been first ballot Hall of Famers, no question about it. Instead, they might not ever get in, as they only received 37.6% and 36.2% of the vote, respectively, this time around. For them to eventually get a plaque in the Hall of Fame, they will have to amass double the number of votes they did in this year’s vote, and I just don’t see that happening. While they each have an additional 14 years of eligibility, I feel the voters have already made up their minds, for the most part. While a few members of the BBWAA might’ve merely held off in voting for Bonds and Clemens, in this their first year, just to prove a point, and might end up voting for them eventually, either you think Bonds and Clemens should get into the Hall of Fame or you think they shouldn’t. End of story. They pretty much fall into the same category as those connected to PED use. Either the voters are going to vote for them, or they aren’t. There’s not much grey area here, as far as I can see, but maybe I’m wrong. Maybe the voters aren’t going on suspicion alone and just decided not to vote in Biggio, Piazza and Schilling this time around for one reason or another. For the sake of the Hall of Fame, I surely hope so. Leaving out Biggio, Piazza and Schilling would be a real shame. 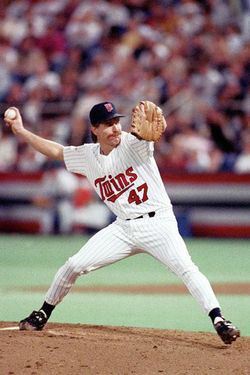 The other main player I’d like to talk about, that many people feel should be a HOF’er, but didn’t make the cut yet again this year, is Jack Morris. Morris was a great player, but, in my mind, he’s not Hall of Fame worthy. The thing that gets me the most when people try to make a case for Morris, is their tendency to use the intimidation factor as the reason they feel he deserves to get in; that you didn’t want to face Morris in any given situation. But it’s not the Hall of Intimidation, it’s the Hall of Fame. The place where the games’ all-time greats get enshrined to forever be seen by generations of baseball fans to come. To me, a career 3.90 ERA just doesn’t cut it. Thus, I agree with Morris not getting in–this being his 14th time on the ballot. While the 2013 Hall of Fame ballot saw no players receiving the necessary number of votes needed to get elected, there are multiple players set to be added to the ballot in 2014 who are shoo-ins to get in on the first go around. Greg Maddux, Tom Glavine and Frank Thomas are three of the favorites to do just that, with some making the same case for guys like Mike Mussina and Jeff Kent. We’ll just have to wait to see, but no matter what happens, there are sure to be at least a few players who get into the Hall of Fame in 2014. In addition to the near certainty that several players will be voted in in 2014, next year’s vote should tell the tale once and for all of whether or not Barry Bonds and Roger Clemens stand even a slight chance of ever getting into the Hall of Fame. If their percentages jump a large amount–due to BBWAA members voting for them that didn’t in 2013–they might have a shot of getting in, several years down the road. If they fail to receive greater than a few more percentage points, however, I’d say it’s a lost cause for two of the best players to every play the game of Major League Baseball.